ANDERSON COOPER: Well, joining me now to talk about the realities in both Washington and Iraq are former presidential adviser David Gergen -- he's in San Francisco tonight -- and, in Baghdad, CNN's Michael Ware. Even if the Democrats all rallied behind around one plan, can they actually force the president to make benchmarks for the Iraqis? Can they make the money conditional like that? DAVID GERGEN, FORMER PRESIDENTIAL ADVISER: It's very unlikely that they can actually get a bill passed, Anderson. Even if they get it passed, the president is going to veto it. And they don't have the override votes. But I will tell you something. I think they are -- in a very odd way, despite all their disarray -- and that sort of goes with being Democrats, I suppose -- they're actually giving a gift to the president. It will strengthen his hand to go to the Maliki government in Iraq and say, "Mr. Maliki, you have to do this, because I have got these people at home who are going to cut things off unless you act." The president can now have a good-cop/bad-cop routine with the Maliki government. He can be the good guy. But he can always point to those Democrats back home, who control the Congress, who are going to really lower the boom on Maliki, unless he moves on some of these things. And it will allow the president -- it gives him more leverage with the Maliki government. And I think that is actually healthy for the president. COOPER: For Republicans, David, even if they successfully kill the Democrats' proposal, if the Democrats figure out one proposal, there's a risk for Republicans in that. And the risk is that the funding for troops runs out. And, for that reason, I think that they're not going to -- they're going to insist on some kind of funding. I can guarantee you that the funding is going to continue, however all this sort of folderol goes on, and the arguing back and forth, you know, unfolds here in the next few weeks. But I think that the Democrats, the growling that they're doing against the war, does -- it puts pressure on the White House. But it also allows the president to put pressure on the Iraqi government. I think it pushes us toward the day when this is -- going to come home. GERGEN: ... in Baghdad was making it clear: I may need more time. I may need more troops. COOPER: Michael, I want to get your take on how the ongoing escalation or redeployment of troops is going. Here's what General Petraeus said today. GENERAL DAVID PETRAEUS, U.S. COMMANDER IN IRAQ: While too early to discern significant trends, there have been a few encouraging signs. Sectarian killings, for example, have been lower in Baghdad over the past several weeks than in the previous month. There also appears to have been less sectarian displacement. COOPER: That certainly sounds like good news. If it's true, Michael, do we know why it would be occurring? Is it the presence of U.S. forces in the neighborhoods? Or are sectarian militias simply laying low, trying to take the temperature? 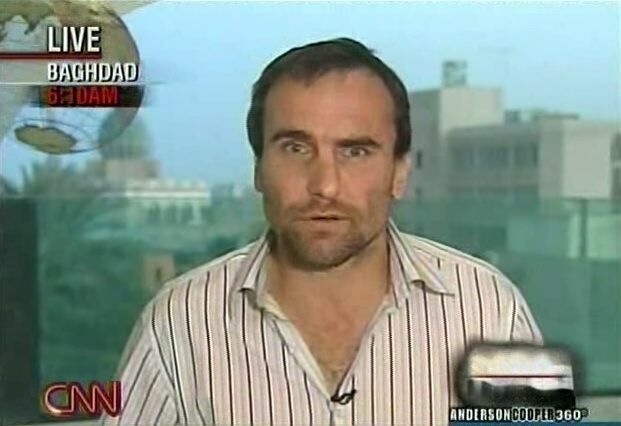 MICHAEL WARE, CNN CORRESPONDENT: Oh, there's absolutely no question about it, Anderson. U.S. commanders here on the ground themselves openly admit that the militias, particularly the very powerful Mahdi militia of anti-American cleric Muqtada al-Sadr, have gone to ground. Yes, there's been a disruption of their options. Yes, there's been a disruption of their leadership structure, with some arrests. But, by and large, they're just standing back. This is precisely what most commanders expected them to do. This plan has been so well-announced in advance, the insurgents and the militias knew it was coming and took precautions. I mean, yes, it's working in keeping certain levels of certain types of violence down. But is it working in fundamentally changing the nature of the dynamic of the problem here? No. And no American commander is suggesting it is, Anderson. COOPER: Petraeus also was talking about -- that military force is not going to be enough, the implication being political talks with militants would be necessary. What is the incentive for insurgents, Michael, to talk at this point? And isn't this the same conversation that you and I have been having for the last three years? They have been talking about talking with insurgents for quite a while now, and it never seems to bear fruit. WARE: Well, that's the thing. I mean, there's nothing that General Petraeus has told the world in his first press conference since taking over this war in Iraq, that was new, strategically or in terms of any kind of timetable for U.S. troop levels. There's just, you know, nothing that he's been able to add in that sense. I mean, America is tied down here, whether it likes it or not. And putting artificial deadlines, that only feeds into the insurgents. And, right now, the main winner is Iran, who are backing the weak central government -- the many other parties involved in it -- and who are moving them across the board like chess pieces in a game. COOPER: And, David, finally, you know, what we're hearing from Petraeus is all about resolve. And his timelines are lengthy ones. I mean, he's talking months, the implication being possibly years, not days and weeks. Is -- that's a tough sell for the American people at this point. And the problem that General Petraeus has is, there's such a thing now as Washington time, the political timetables in Washington, and Baghdad time. And General Petraeus is on a different time scale. He probably does need more time. But, you know, Anderson, if he can show enough progress over time -- Michael's right. They're just -- you know, these folks have gone to ground. A lot of these insurgents have gone to ground. These Shiite militias have gone to ground. But, if there can be a breathing space, you can get Maliki to do a few things, it's conceivable the politics in America might lighten up a little bit, and people might give General Petraeus a little time. They have got a very narrow window now to get through. It's unlikely they will get through it. But, for the first time, there may be a window. COOPER: David Gergen, Michael Ware, appreciate it. Thanks, guys.